Wonder if cattle rustlers still exist? Well, they do. 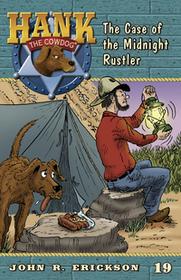 Hank and Slim go on a camping trip to see if they can catch the mysterious stranger who is stealing calves. Hank devours all of Slim’s camp meat (weenies) and chews the tent rope in half during a thunderstorm. Slim gets soaked, but fortunately he never figures out why the rope broke.